First time I heard it on radio, right from melody in the beginning it got my attention and then I fell in love with the lyrics, specially since it’s something pretty close to my heart at this moment…=) So here is a bit info about them…and I am starting from Gotye. Wouter “Wally” De Backer (born 20 May 1980), also known professionally by his stage name Gotye, is a Belgian-Australian multi-instrumental musician and singer-songwriter. Gotye’s music has been compared to Sting and Peter Gabriel. He has released three studio albums independently and one remix album featuring remixes of tracks from his first two albums. His debut album – Boardface (2003, Nr. 93 Australian Album Charts). His second album – Like Drawing Blood (2006 Australian charts Nr.13). His third album – Making Mirrors (2011 Nr. 1 on the Australian Albums Chart). “Somebody That I Used to Know” (from latest album) went on to international success, charting in the top 10 in over 15 countries with 6 of them being at number one. De Backer is also one-third of Melbourne indie-pop band The Basics, who have independently released three studio albums and numerous other titles since 2002. He has won five ARIA Awards and received a nomination for an MTV EMA for Best Asia and Pacific Act. Kimbra Johnson (born 27 March 1990), known mononymously as Kimbra, is a New Zealand singer/songwriter from Hamilton, New Zealand. She is currently based in Melbourne, Australia, were Gotye is residing too. Kimbra’s debut album Vows was released on 29 August 2011 in New Zealand, and 2 September 2011 in Australia on Warner Bros. Records Inc.
Kimbra grew up in family of doctors but the love of music came to her in early age. At age 10 she started writing songs and at 12, she bought a guitar and began performing on stage with her tutor, without ever have been thought how to sing. Kimbra’s musical style harbours “smoky soul, flights of dazzling invention and intricate layers of deeply felt emotion”. Comparisons have been drawn with Nina Simone, Architecture in Helsinki, Amy Winehouse and Björk. Her songs maintain strong hooks and catchy melodies that are sometimes unpredictable but satisfying”. It’s first album for Kimbra and it was very fortune that this duo came together, since their international hit will make Kimbra’s first steps in music so much smoother. Well, good luck to both of them in the future! 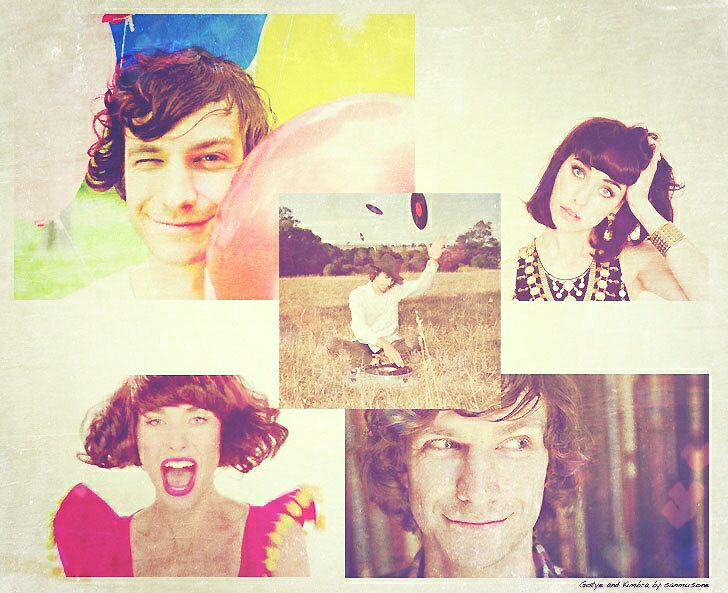 See more about Gotye on his website and don’t forget to read section “About”, you will fall in love with his personality!=) Also check out SoundCloud. See more about Kimbra on her website and Facebook page.